This module has been specially designed to provide the functions commonly required for mine vehicle fit-outs. 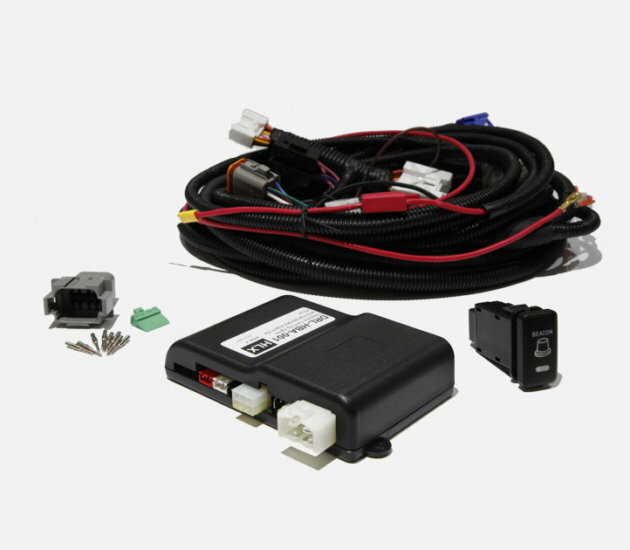 Unlike other applications this kit eliminates the requirement for multiple modules to provide beacon, spotlights, work lights and handbrake alarm. The DRL-HLX17 combines all functions in one package. The main control module contains the electronics to control the vehicle circuits and is central to all the logical decision making of the system. All switches and accessories plug into the module. A map of all the connectors can be found on a sticker found on the back of the plastic case.